Barbizon Midwest Review: Monday Model of the Week Megan Boyle! Monday Model of the Week Megan Boyle! Merrillville, IN model, actress, and musician Megan Boyle graduated from Barbizon Midwest at the age of 14. Megan is currently in rehearsal for "Etude the Musical," a Broadway in Chicago production by Sigman Brothers premiering October 16, 2013. Represented by our agency, Royal Model Management, Megan strutted the runway in two fashion shows for Sears and booked a print ad for Acne One Step. You may have also seen her as a featured model on the Style Network's television series "Chicagolicious." As the winner of the Girl's Life Magazine "Dance. Sing. Dream" National Competition, Megan won a trip to L.A. and walked the "pink" carpet for the world premiere of "Standing Ovation." As part of her prize, because Megan is a part of the Barbizon Modeling family, she will be appearing in "Standing Ovation the Movie 2," which filmed over summer. Megan Boyle at the premiere of "Standing Ovation"
Megan stars as 'Sarah' in the short film "The Chase" and as a featured extra in "Dhoom 3," releasing this December. 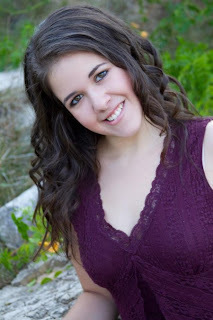 Megan Boyle as Sarah in "The Chase"
The Effective Headshot: Tips Every Actor Needs! Carolina Davis Creating "Strip My Mind!"